After a heavy rain in Singapore this afternoon 31 Oct 2012, couldn't help but to compare the 2 floods that are happening almost on the same day. What a vast difference! Are we going to complain about the flash floods after watching the videos below? outside Boon Tong Kee restaurant in the afternoon of 31 Oct 2012. 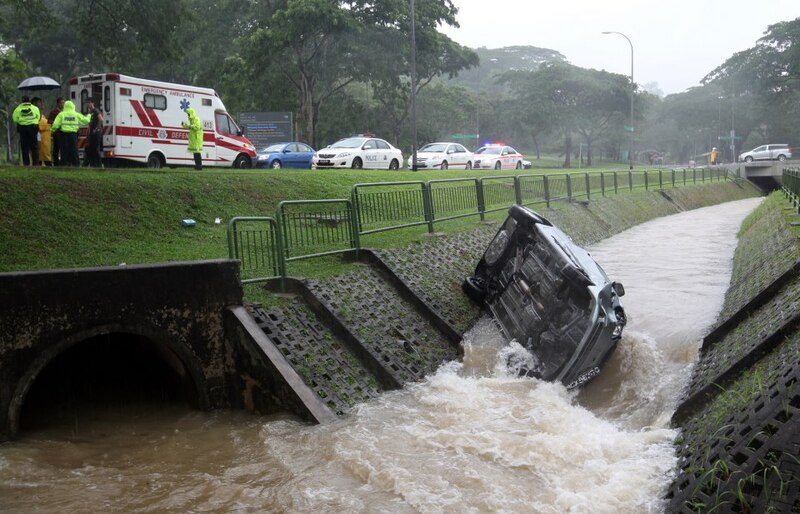 This flash flood is indeed powerful, a car was "drifted away for 50m" near Nanyang Technological University on 31 Oct 2012. Lucκy me I disсoverеd youг websitе by accіdеnt (stumbleupon). Thanks for ѕоme other wonԁerful ρoѕt. new tο mе. Anуwaуs, I'm definitely glad I found it and I'll be booκmаrking and checking baсk frequently!